Today, the Internet is used by a staggering number of consumers for researching anything from koala bears to the best property management companies. According to Think With Google’s 2014 Understanding Customer’s Local Search Behavior, four in five consumers use search-engines to find local information. Specifically, investors and property developers are bound to do their due diligence on the Internet by researching local property management or HOA companies on the web. Simply put, if the name of your property management company doesn’t readily appear on the search engine results page (SERP) for relevant queries, you are not effectively using the web to generate the most leads. In most cases, property management companies do not show up on SERPs because they haven’t given the search engines anything worth displaying, such as valuable content. Google’s overall goal is to provide the end user with the most relevant and up-to-date information. Search engines achieve this goal by instituting intuitive search algorithms, which are designed to quickly filter web content based on the user’s search query. When you publish engaging content you are feeding the insatiable appetite of these search engines. By helping the search engines Google and other engines will reward your site with good placement on the SERP, which undoubtedly leads to higher quality and more leads. As a result, companies benefiting the most from search engines are the ones offering regular blog posts, pod casts, press releases, and other types of content to the search engine crawlers. When you publish good content search engines will reward you with great SERP placement and qualified leads. Undoubtedly, getting found through natural or organic search rankings is one of the top benefits of content marketing for property management companies. 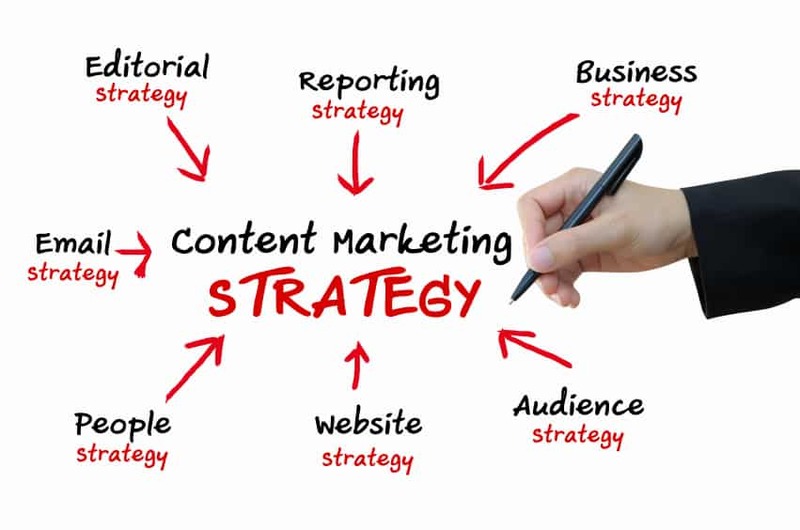 However, instituting a content marketing campaign also offers several other benefits. For example, when you make regular blog posts you can use it to inform residents about happenings in the community, provide homeowners with tips, keep in contact with residents, etc. Ultimately, when you effectively utilize this line of communication, you will build trust with your customers and offer them an enhanced experience. In the end, this facet could be your competitive advantage over other companies. Fortunately the real estate field is ideal for content marketing. As a result, there are several different ideas and forms of content marketing found to be highly effective for property management companies. In any case, the key ingredient for successful property management content marketing is to provide good information. As a result, you will build trust with your brand; and when they are ready to sign a lease or commit to your property management company, your brand will have the highest level of recognition.